Mine was good actually..It was really hot and sunny here. Which was perfect weather to get some much needed yard/gardening done. 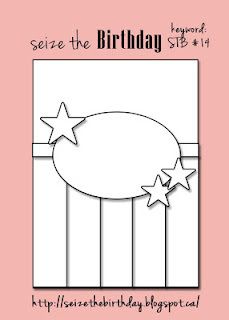 Today, I had some time to play and decided to join in the fun over at Seize the Birthday. So here is what I created. My image is from, From the Heart: Cupcake Mouse, which comes with a boy and girl mouse!!! I love my burlap stars!!! When I use to cut them, I found that they seem to fray on me. Well I came up a new way so they won't fray. 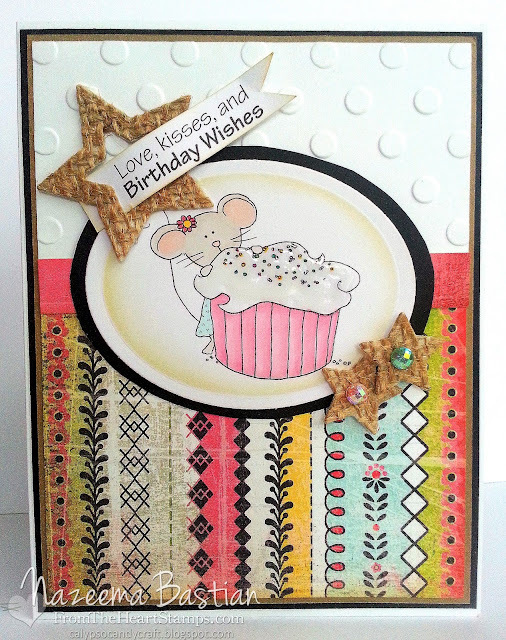 Hi, lovely card and a very sweet image, Thank you for joining us at Songbird challenge this time! super sweet image and i love the stars :) Thanks for joining us on Seize the Birthday this week. This is just the cutest card! I love the papers and colors you chose. Great job! So glad you joined us for this Challenge.